Given the somewhat quick turnaround, I really am chuffed with the results. Not only did I give them the main Puritone Record logotype, but the actual label version was somewhat of a bonus. Or, one could look at it that the logotype is modular, allowing for a convenient and flexible logo system. So if the the main label version might be too tall, then the smaller logotype version can be used independently of the record label. 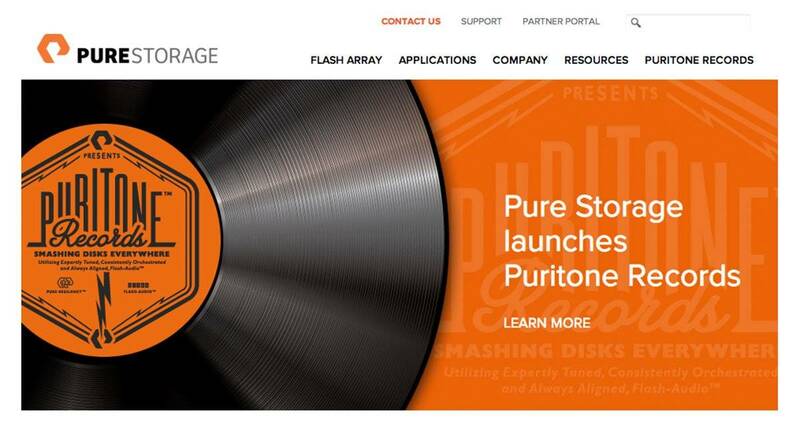 At the very top we have Pure Storage, the main parent company surrounded by a couple of white flash-bolts (Pure Storage is a flash drive manufacturer). 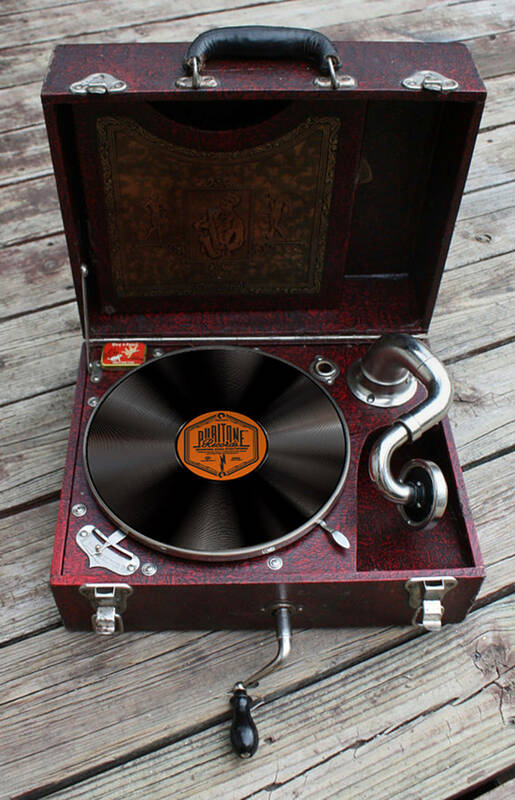 This leads into the Puritone Records wording, with the accompanying, flash storage/music themed, tag-line (which I also came up with), “Smashing Disks Everywhere: Utilizing Expertly Tested, Consistently Orchestrated and Always Aligned, Flash-Audio”. Partly due to the frenzied nature of this project, but also mostly down to actually not realising this would ACTUALLY be used to go on a proper physical vinyl record. Can you see an obvious, and completely unintentional, omission to this logo design? Answer bottom of page.